A paving stone was laid yesterday in tribute to a soldier who served with the East Lancashire Regiment and was awarded the Victoria Cross for his outstanding bravery during the First World War. The commemorative paving stone was laid at the Church Street Memorial in Accrington at 11 am on 27th March, in tribute to 2nd Lieutenant Basil Arthur Horsfall VC, exactly 100 years on from the heroic act for which he received his medal, with members of his family in attendance. Basil was awarded the Victoria Cross, the highest and most prestigious award for gallantry in the face of the enemy that can be awarded to British and Commonwealth forces, for his most conspicuous bravery and devotion to duty. Basil was born in Colombo, Ceylon on 4th October 1887, the youngest son of Mr W Horsfall. He was a member of the Ceylon Engineers, a locally-raised force of European expatriates largely drawn from the Public Works Department which was mobilised for the duration of World War I. In July 1916, aged 28, he returned to Britain where he was gazetted as a 2nd Lieutenant in the 1st Battalion, East Lancashire Regiment, on 19 December 1916. Basil was wounded on 11 May 1917 whilst serving with the 1st Battalion and after recovery and convalescence in England was attached to the 11th (Service) Battalion, East Lancashire Regiment (the Accrington Pals) on 24th October 1917. It was during his service with the East Lancashire Regiment that his heroic actions led to him being awarded the Victoria Cross. As part of the service, Paul read the citation which was published in the London Gazette all those years ago. 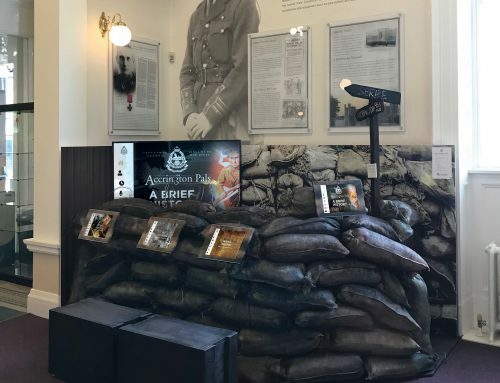 A plaque has also been installed in the Accrington Pals room at Accrington Town Hall in tribute to Basil Horsfall VC. The establishment of commemorative paving stones to honour Victoria Cross (VC) recipients in England from the Great War is part of the national First World War Centenary campaign, which will see commemorative paving stones laid at the bbirthplaces of Victoria Cross recipients of the war in towns right across the country from 2014 to 2018. 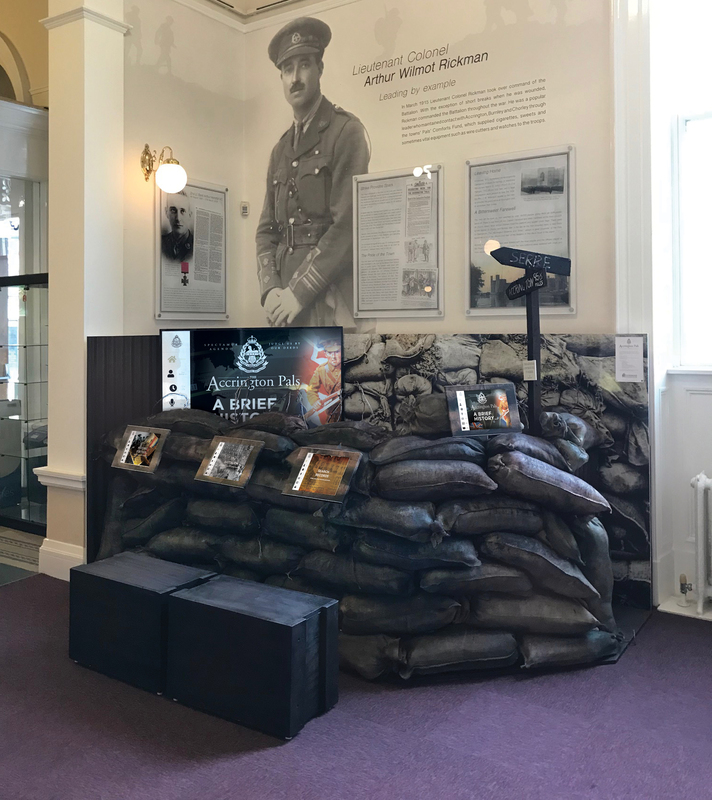 A trench has been installed within Accrington Town Hall!